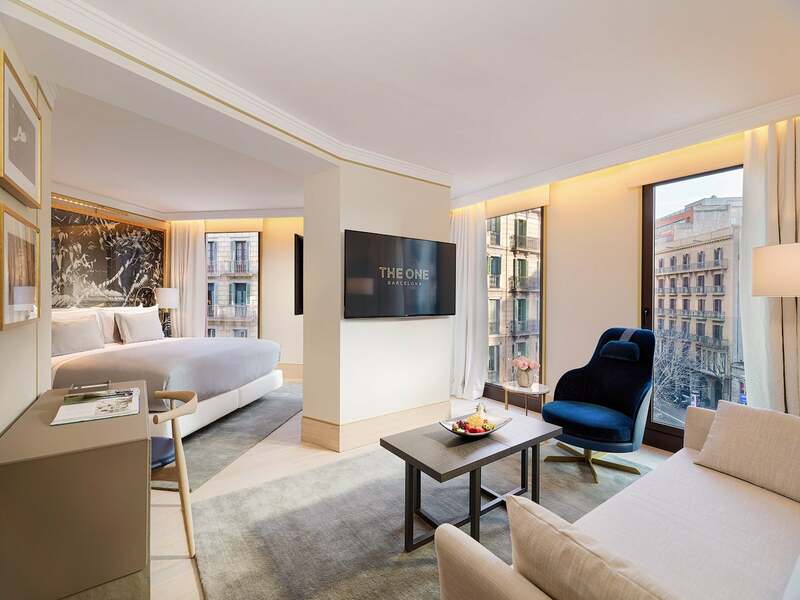 Rooms designed for enjoying the spaciousness of their privileged and sunbathed 40 m², located at the corners of the building and boasting four large windows that allow guests to take in a global view of the iconic Barcelona Eixample. 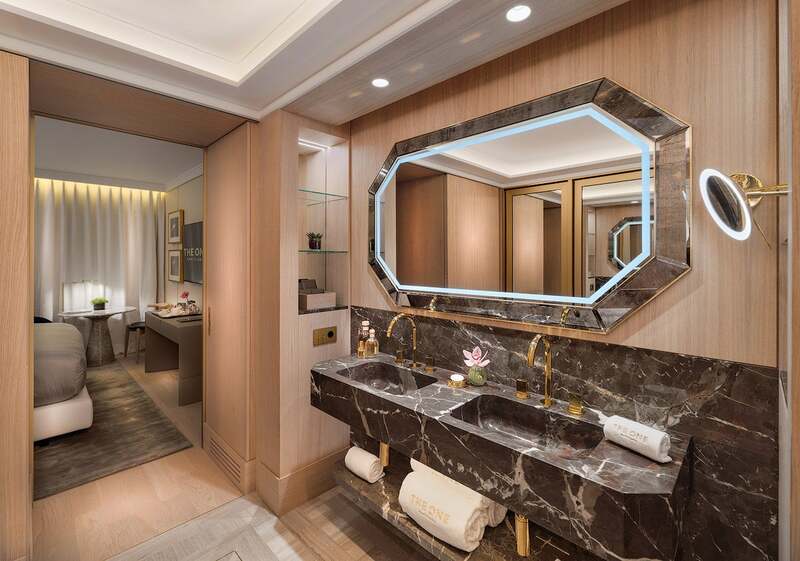 With two ambiences, separated by the media hub where there are two smart TVs, these suites are the best choice for guests who need more space for their stay. The possibility of connecting to another room makes them a good choice for families who want to maintain their private space. Maximum occupancy: 3 people.